Ineke was interviewed by Rinus van Warven, journalist and programme maker at Tendens Omroep Gelderland. In 2013 your book was well received in the Netherlands. Meanwhile it has been translated into English to be released for the English language territories. It will be launched February 2015. What is it about and what made you write this book? In the light of death is about the dying preparing for death. From leading neuro psychiatrist and researcher Peter Fenwick, we learned that death seems to be process rather than a single event in time. Death may be heralded by specific phenomena so-called end-of-life experiences that comfort the dying and help to prepare them for their transition from life to death. 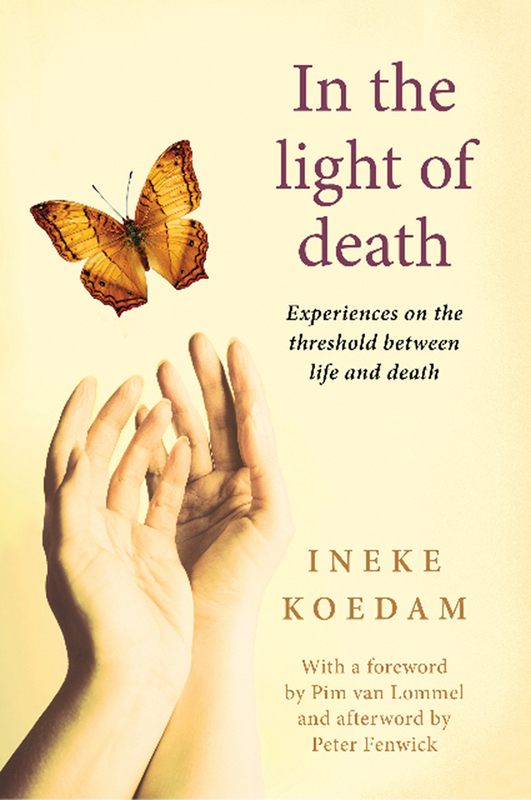 This book contains many accounts and anecdotal evidence of hospice staff and is a real contribution to diminishing the fear of dying which is so widely spread in our societies. So In the light of death is about specific end-of-life-experiences. Can you give us some examples? Most often are reported the visions of passed away relatives who appear to have the express purpose of collecting or taking away the dying person. And also the ability of the dying going to and coming back from a different reality. The experience of radiant light that envelops the dying person and may spread throughout the room. Occasionally the perception of something leaving the body. Further synchronistic events, such as clock stopping at the moment of death and also final meaning experiences like a sudden desire to sing or hum religious songs, terminal lucidity and quite often a desire to mend family rifts. How common are these experiences? We learned that these experiences are more common than we would imagine and that they have been experienced for thousands of years and have been recognized in many different cultures and spiritual traditions. You worked in a hospice yourself. What did you learn about the process of dying? First and foremost, from the dying I learned about who we really are and as far as the process of dying is concerned, that it is a precious and most essential process of every human being. Do you have a particular message to share with the world? After having learned from all those who experienced near death, it is now time to become more sensitive in the nearness of the dying. We may catch a glimpse of a different reality. It will most likely broaden our consciousness and may completely change our vision on life and death.